With an exciting year ahead of announced releases I’ve been sitting here contemplating my “wish-list” of game-texts on cards I’d love to see in the game. 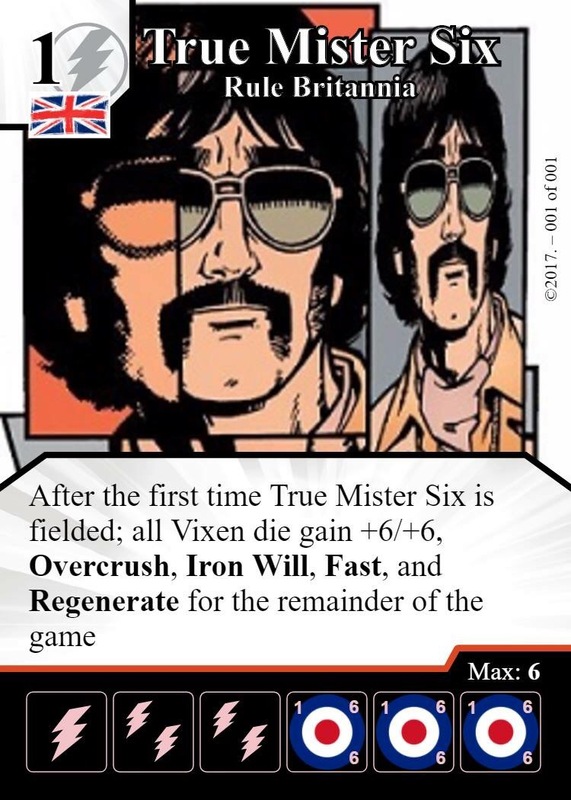 For some time now there’s been these times I’ve worked on brewing a team and thought “if only there was a card that…” and lamented the absence of a particular mechanic or a global under a set of circumstances. I’ve wanted this one for a while. I just think there’s some real potential in a cheap Shield swarmer to use for ramp with awesome, higher cost Shield characters. I can’t tell you the amount of times I’ve wanted to buy an ‘Ancient One’ and, after ramping, found I’ve not got the Shield! I jest, but in all seriousness; I have done so much with Globals using swarmers (my UK Nats teams, for example, had loads going on with ‘Chwingas’ and Bolt globals like ‘Magic Missile’), and there’s so many Shield Globals now I often want to make multiple use of, there’s def been once or twice when I’ve thought “A Shield swarmer would be handy here.” So I’ve got my fingers crossed 2019 is the year we’ll see one. Plus, y’know, fair’s fair, every other energy type has had several by now. As a regular player of theme events down my FLGS, particularly Single Affiliation or Single IP, I’ve found myself adrift without ‘Resurrection’ or ‘Create Food & Water’ in the Marvel tool kit. I could go without, but I’ve become so reliant on my turn two bag re-set it’s almost ridiculous, and would love a prep global on a BAC in a Marvel set. I’ve been loving all the Sidekick-centric combos that have been fashionable in the recent meta, and have had (like many) loads of fun playing around with things like SR ‘Malekith’, C ‘Mimic’, SR ‘Jubilee’ etc and ‘Professor X – No More, Magnus!’ Has been a big part of making those combos happen. However, I often find myself frustrated with cards that take a team slot for a Global that I generally find I won’t ever buy the Dice from. I much prefer my utility Global with less useful game-texts as a Basic Action so I’m less worried about my opponent buying it. ‘Professor X – No More, Magnus!’ is a great example of this. Seriously; how often do you find you buy this character? ‘Ring of Winter’ is another great example. I definitely see how useful the global is on a team where you need a big beast for your win con, but it irks me using it when I’m not playing a Dragon team. I want the global on a card where the game-text synergies more broadly with the global, or dump it off on a BAC that I wouldn’t worry about my opponent buying so I can fill the team slot more usefully. We’ve always played a lot of Golden Formats down my FLGS, but with the introduction of more Golden based formats like Global Escalation at a competitive level it’s seeing more play than ever. AND the one card that irked me in Golden for all these years is ‘Imprisoned’. I’m not alone. It’s a seriously annoying card. There’s stuff you can do, of course, but none of it quite hits the spot with ‘Imprisoned’ particularly. ‘Scarlet Witch’ and ‘Constantine’ are popular Action tech but ‘Parallax’ and ‘Acererak’ with their re-roll Globals are prevalent on ‘Imprisoned’ teams. You could always drop some Action removal on your team like ‘Oni’ or ‘Bleez’, but these are reactive and, honestly, I tend to find that once the ‘Imprisoned’ has gone off its part of the big lethal move anyway. So, I want to shut down ‘Imprisoned’ hard, in a way that’s as infuriating for the ‘Imprisoned’ player as it’s been for non-users all these years. There we are then folks – the True Mister Six shopping list of game-texts. There’s tonnes of other cool things besides, but these are the top of my list.